We’re looking forward to a great race, snow or no snow, arctic air or tropical air. You’ll be racing with 340 racers on 148 teams (106 two-person and 42 three-person). An astounding 140 (41% of racers!) 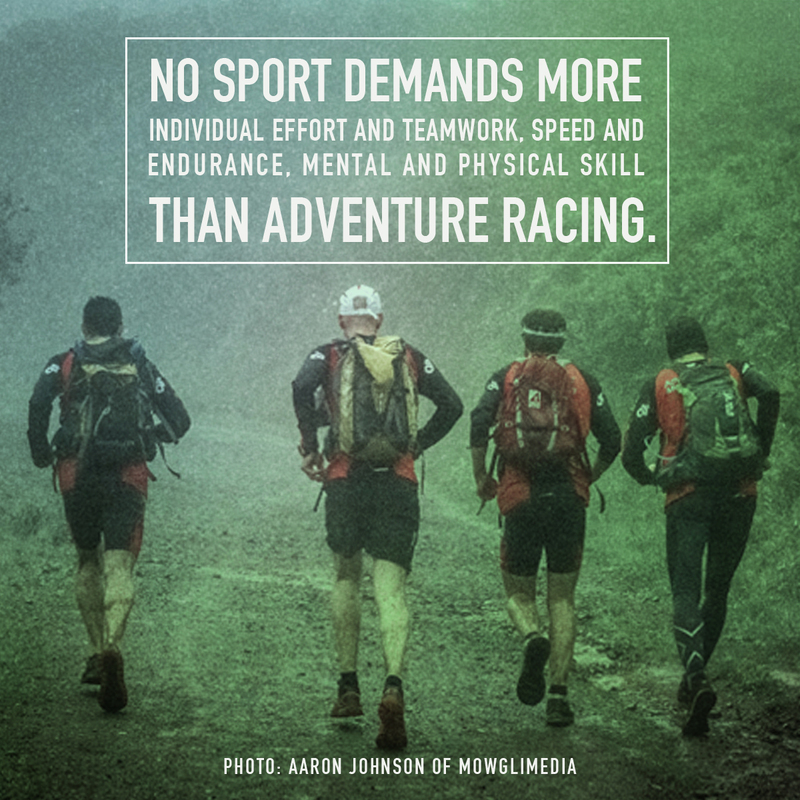 of you are doing your first adventure race on Saturday! It takes courage to try something new, but for many racers who have taken that step, they’ve discovered a sport that’s fun and refreshing, but still physically demanding and certainly mentally challenging compared to other races. And it’s a memory maker. You don’t forget when all hope is lost (or Hope is lost if that’s your navigator’s name) and the checkpoint flag seemingly appears out of nowhere. Thanks also to those of you hopelessly addicted. Looks like 1-2″ of snow max. predicted for Friday night into Saturday since Camp Roger is on the north end of GR. Temps between 17-20 degrees F. during the race is what I’m seeing right now. Remember the tips in Update #1 below to keep your hydration pack from freezing. Make sure your base layer is wicking/tech, especially needed when you stop at challenges and your sweat cools. Sometimes the camp roads are icy so consider grippy footwear and Icespike cleats or similar. Hopefully the recent ice will be worn or salted off. If you are coming from southern Michigan or below, you will likely have more snow to drive through. If you are running late, don’t rush to get there in time for check in or pre-race meeting. We will get you into the race no matter what. We’d rather have you arrive safely. See Update #1 below for gear tips. Here’s the team list with your team number and gear. Confirm that your team’s information is correct. Email me if it is not. If you are listed as Pending Entry, see below. Shirt doesn’t fit? Shirt size swap occurs once same-day check-in ends at 8:40 am Saturday (once everyone gets the size they ordered). If you show a pint or buff listed but did not pick that, either you did not provide a shirt size during registration (several of you, but I did not notice until now), you registered after Sunday at midnight, or you were a Pending Entry (did not complete your team info when your team captain signed you up and had an email sent to you). You can swap for a shirt at 8:40 if any remain. I did order extras. If you ordered a shirt and you did not get your size due to a screw-up, we can refund the value of the shirt or give you another item(s) of equal value. Several teams have teammates who did not fill out their team information, waiver, etc. If you are on one of the teams below and did not do this (you should have received an email but it may have gone to your junk folder or team captain’s email), please email me with your name, team name, email address and signed waiver (or bring it with you to check-in). We had to order shirts Monday morning so grab a pint or buff and if you want to trade for a shirt after check-in ends at 8:40 am, you can do that if extra shirts are available. Please stay off Pickerel Lake and Camp Roger property between now and the start of race. Early check-in is at Camp Roger tomorrow (Friday) from 4-6 pm. in the Ridge Hall (dining hall) at the top of the hill. Directions for early check-in ONLY. For early check-in ONLY, access the camp via Pottawatomie Trail just east of the Bostwick Bakery on Belding Road. Do not use the west, gravel road entrance. Park in the guest lot to your left as you arrive (but not on Saturday). 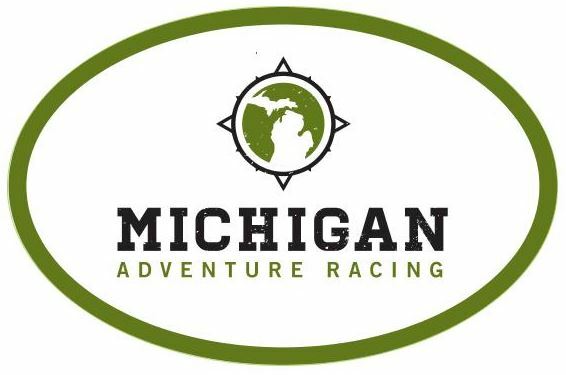 We will be giving away Michigan Adventure Racing bumper/window stickers to all racers who check in Friday. Walk up the road/hill to Ridge Hall (farthest north building, look for the bell tower). Pick up your team/race numbers, map/race instructions, passport and shirts (for those who registered before Monday). Put your number on your hydration pack or an outer layer, front or back. You can pick up race materials & gear for your teammate and friends since they signed the waiver online. Bring a bag with you if you are picking up for several people. Park at Young Ave. at Belding Road, west of Camp Roger. The shuttle will pick you up in front of the Lakes Elementary main entrance. If possible, please carpool with a teammate or someone from your area doing the race. The race instructions will be on BACK of the map (8.5″ x 11″) so you’ll only need one piece of contact paper if using it to seal the map, unless you want multiple maps. Each of you can have your own map and race instructions. Wave start like usual to reduce the chance of long lines at the challenges. Make sure that you go in the correct wave! If you want to race with a team from another wave, go do a couple of checkpoints or a challenge and then meet up with them. They can do those CPs or a challenge at the end of the race. Don’t forget to return before your division’s designated time. The start/finish will be at the bell tower in front of Ridge Hall. There will not be a chute. Look for volunteers in safety vests who will mark your time. If you have the passport attached to looped string or a similar hanging device, please remove that on your run into the finish. Don’t forget that if you and your map are facing south (as you often will be), you’ll need to rotate your compass dial back toward you so that north on the dial is facing north on the map (unless you want to go exactly the opposite way of where you want to go!). Tip of the Day: Whoever you are following may very likely be lost or is following someone who is lost (or is looking for a different CP than you are). Spectators may use the shuttle system throughout the event. If they arrive during the race and the shuttle doesn’t seem to be returning after several minutes, please have them drive up to camp. If there’s plenty of room in the guest lot, they can park there or they can alert the shuttle and both vehicles can go back to the shuttle lot. We will offer race maps to spectators after the pre-race meeting so they can check out some of the fun challenges. Most challenges are relatively close to the lodge. We’ll also likely award the top all-rookie teams. We don’t have a family division since there are just a few family teams. Family teams larger than three people are in the 3-person divisions. I didn’t realize I was out of medals and had them rush shipped. If they come by race time, all kids can have one. Otherwise an M.A.R. sticker. 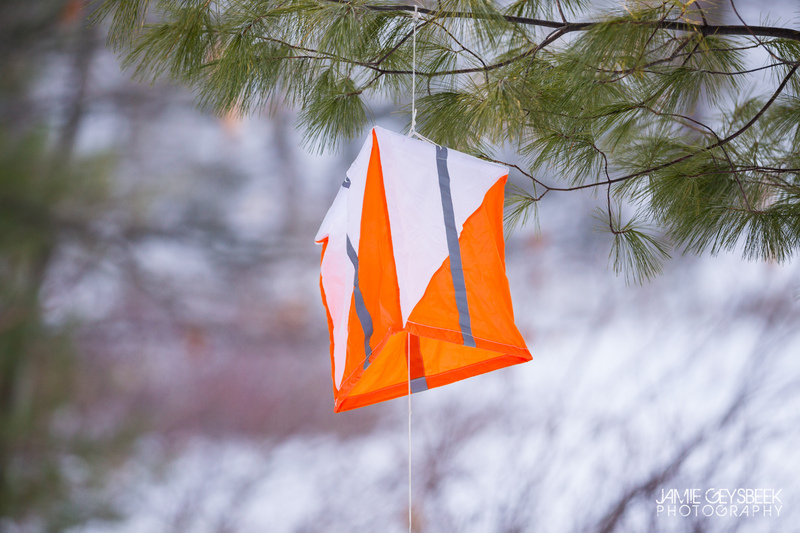 With the lack of snow, we will likely have several dozen teams finish before lunch is ready. Please bring some food with you if you need something right away after the race (besides fruit which should be ready). Lunch should be ready just before noon. Please limit to one serving until everyone else has been served. No alcohol please. Kids’ camp policy. We hope you’re getting excited (but not too nervous; this is fun!). 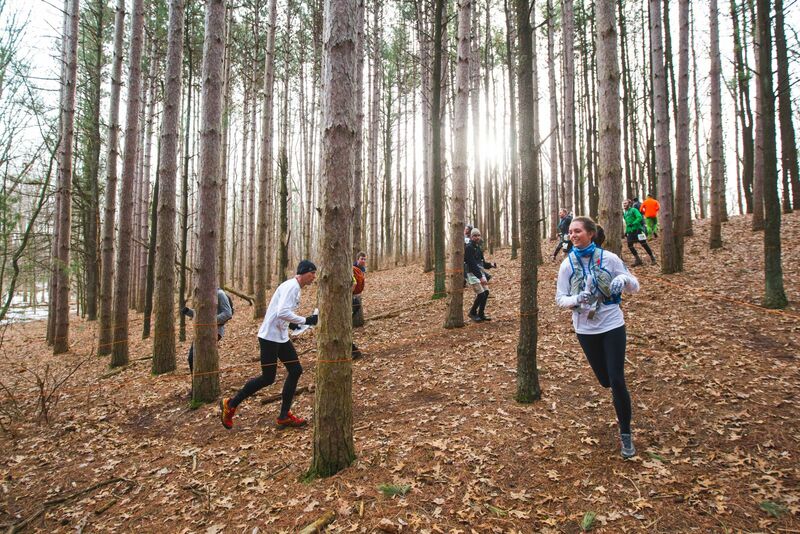 Thanks for joining us for the eighth annual Michigan Adventure Race: Winter Edition! About 325 of you have signed up so far which makes this race – in the dead of winter – larger than any other adventure race in the U.S. last year. We’re so fortunate to have so many tough (and slightly crazy) people in this area, state and region. Snow or no snow, the race is on. And unless we get dumped on Saturday, it should be a fast one! No snowshoe loop but everything else is a go. It looks like we will get some Arctic air by Saturday. Best guess is race-time temps between 15 and 20 degrees but check the forecast on Friday. Bring multiple layering options and remember that if you will be doing some running, you will warm up quickly (but cool down at some of the challenges so wear a wicking base layer). You can swap into the ideal gear at the last minute in the changing cabins. There are several good things about cold temps. 1) Your nostril hairs may freeze and that’s a neat feeling 2) The chili tastes better when it’s also raising your body temperature 3) More sun but less mud or ice. We could get sunny skies but it will likely be too cold for the sun to thaw – or refreeze – the ground. All bodies of water are off limits for safety. Do NOT attempt to cross any ice. I’ve placed checkpoints so that a lake crossing really wouldn’t be an advantage. If you do try to cross, you’ll likely end up wet as the ice is weak in all the marshy areas especially. If you know of friends who are on the fence, remind them to sign up by Thursday at noon if they want to race. No registration after that. Anyone who signs up Monday through Thursday noon gets a stainless steel pint or buff/headwear instead of the shirt. If you have a teammate listed as a pending entry, they have not yet registered so they must do so by Thursday at noon. I have sent emails to all those who are in Pending Entry status. We’ll sneak them in after that but it’s a manual process and a hassle so help us out and get them in by official close of registration. We don’t allow solos, so team captains should especially make sure this gets done or find a new teammate pronto. This race update pretty much covers everything you need to know all in one note, thus its prodigious length. If you’ve done this race multiple times, everything is pretty much the same (except the checkpoints and challenges of course) so you can skim the logistics. We want to thank our generous sponsors for supporting this race. Honey Creek Inn (along with Grist Mill and Cannonsburg Bottle Shop). Thanks for the tasty chili, noodles, breadsticks, cider, hot chocolate and coffee! The Village of Cannonsburg is just six minutes south of Camp Roger. Stop in before or after the race. Gazelle Sports. Providing lots of gift certificates as usual. Great shoe fitting expertise and all the gear you need for winter running. Worried about keeping your feet warm? Grab a pair of SmartWool socks from Gazelle. Salomon. A long-time supporter of adventure racing. Thanks for four pairs of shoes for some of the top finishers, provided through Bill & Paul’s Sporthaus. Metro Health Sports Medicine. Providing sports medicine and medical first responder services at the race. Stop by their area if you have a need or just a question. Bill & Paul’s Sporthaus. Great gear and expertise. Gift cards for top and raffle prizes. Get 10% any adventure racing gear in their store with proof of registration. See the Required Gear page for eligible items. Tubbs Snowshoes. Snow or no snow, we’re grateful that Tubbs has a big batch of snowshoes for us to use during the race. Shop for them at Bill and Paul’s after the race. Tim Parks LC. 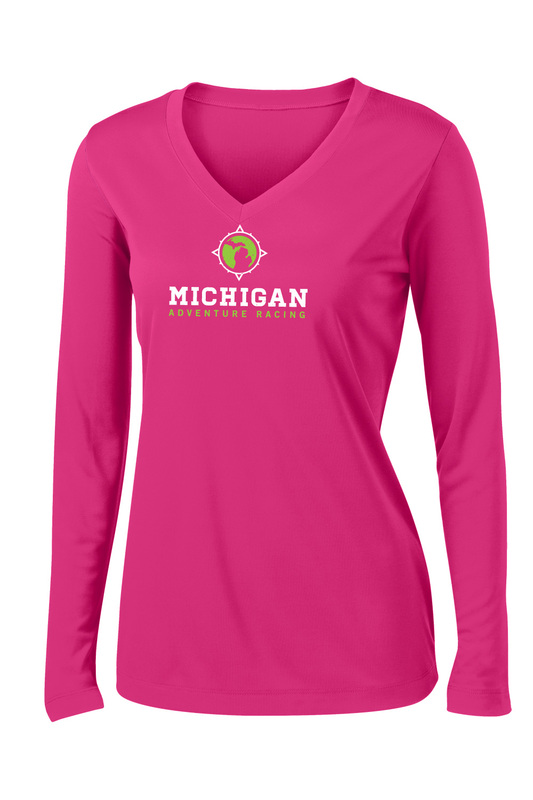 A great resource for promotional products and decorated clothing for your business or event. Tim has provided shirts for our races since 2011. 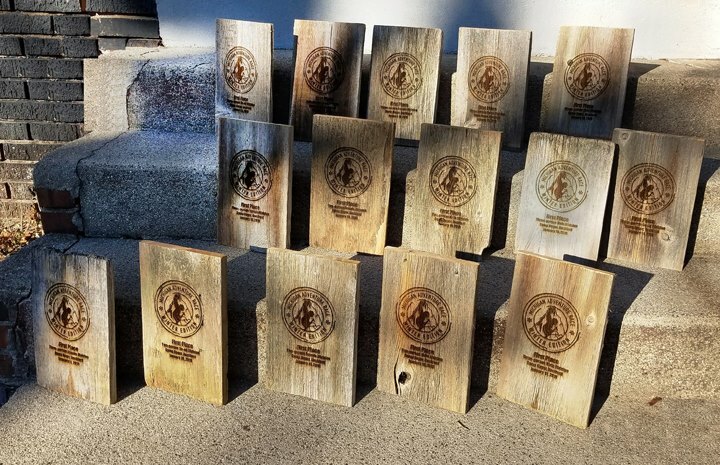 He also provided the cool barnwood trophies. Icespike. Race with Icespikes when traction is a challenge. More durable and effective than other traction options. Available at Gazelle Sports and online (and in the raffle). Zanfel. A safe and effective topical solution for poison ivy, poison oak, and poison sumac. You might not need it for this race, but you may later this year! Jamie Geysbeek Photography. Jamie takes amazing photos of our race as well as weddings, portraits and other events. Smile as you run by him. If you can. Jamie offers high-res photos free of charge. He can’t be everywhere at once, so we don’t try to capture everyone, but he does capture many. A big thanks to all our volunteers as well. Please thank them out on the course if you think about it. Volunteers include a team from our charity partner, Camp Roger. The race is at Camp Roger in Rockford, off Belding Road but due to the small lot there parking at the camp is limited to volunteers and spectators in need of assistance. If spectators will arrive after the race starts and do not see a shuttle bus at the shuttle lot after waiting a few minutes, they may drive to Camp Roger and inquire about the bus status or see if there are any spots left in the lot. Please park in Lakes Elementary School lot or Bostwick Lake Congregational Church’s lot across the street on Young Ave. at Belding Road. 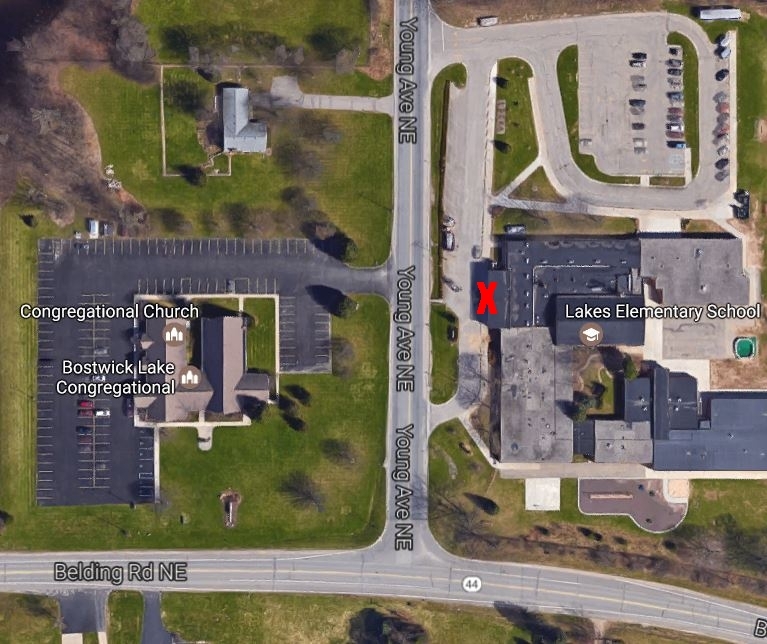 Shuttle buses will only stop at Lakes Elementary front door (X marks the spot) because they don’t have to back up there, so hop across the street if you parked in the church lot. We will use two shuttle buses so you won’t have to wait long. Bring a bag of dry clothes and gear with you. You can leave it in the men’s and women’s cabins. Look for the signs on your left (south) after you have been dropped off at camp. Restrooms in these cabins and Ridge Hall, up the hill and west of drop off. Review this camp map for locations of the cabins and lodge. Sorry for the poor resolution! You MAY bring this map with you during the race along with the topographic race map. If you have a volunteer in your car (or you are dropping off spectators and returning to the shuttle lot), you may park at Camp Roger and use the volunteer parking lot shown on the map. Click or in Google Maps type 8356 Belding Road Northeast, Rockford, MI. The Sunny Hours Trail entrance off Belding Road, across from Bostwick Lake Inn, is closed. Continue east to Pottawatomie Trail, next to the Bostwick Bakery. We plan to check for at least one piece of required gear. We will subtract a checkpoint if it is missing. 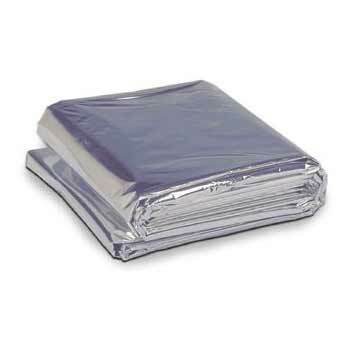 Emergency/mylar blanket. One for each teammate. They cost under $5. Just a heads up that stores in the area often stock these in low quantities and run out right before one of our races. Pencil/pen. Test to make sure pen can write in cold weather (because many of you waterproof your race instructions sheet and it becomes difficult to write on). NEW: Bring a couple pieces of scratch paper so you can write down answers to one or two challenges, especially if you seal your race instructions. Compass. Baseplate or sighting type. One per team. Mobile phone. One per team. Powered up and turned off. Water/fluids – we are not setting a minimum amount. Okay to have one person carry, but having your own is advised. $5 per team if you want a clue/advantage at our “charity challenge.” Money raised will go to scholarships for kids who wouldn’t normally be able to afford to go to summer camp there. Basic first aid items for cuts, etc. Layers of clothing, one layer less than you feel comfortable in (you will warm up quickly unless we have heavy winds or precipitation). If you have gear that vents to reduce sweating and wet clothes, that’s ideal. Hydration. Extra weight, but you will not perform well without sufficient fluids.We will not have water out on the course but you can get water or Gatorade at the lodge during the race. Heads up that hydration bladders may freeze during the race. Tips to keep water from freezing: Buy an insulating sleeve, remember to blow water back into tube to keep it from freezing, start with hot water, keep tube tucked inside jacket or just water bottles instead. What shoes to wear and more tips under the Required Gear page. You may access your gear bag in the changing cabins during the race, but be aware most of the race course is not near the cabins. Make sure you know how to identify a depression, reentrant, hilltop, knoll, spur, and ridge on the map by the shape of their contour lines as most of the checkpoint (CP) flags are located on or near these types of features You can look up these terms and how they look on a map on our clinic presentation or search online. Note that I’ve attempted to run/hike and import every trail in the area onto your race map. Even if snow covered, you will be able to move faster on these trails. Find trail junctions and other map features that allow you to plot a bearing with your compass closer to checkpoints that are off trail. From these CPs, either plot a bearing and/or follow obvious topography to other off-trail CPs or return to the trail. You will likely need to cover 5-6 miles on foot to get every checkpoint. The goal is to maximize checkpoints within the three-hour time limit (penalties for every minute you are late up to 10 minutes at which point teams will be unranked), not to get every one. Each checkpoint has a unique punch that you will apply to a waterproof “passport” card we will give you at check-in. Top finishers may decide to go after some outlier checkpoints that will require the additional distance. Challenges will be similar to what you may have seen on the Amazing Race or Survivor, requiring some mental, physical or combination of skills, but definitely a lot less elaborate or painful than those on TV! Very rarely are teams completely stumped although you may have to try something multiple times before you solve the challenge. They are not too cerebral, not too corny. You won’t be eating food, you won’t be solving trigonometry problems, you won’t be dancing in tutus. Most racers find them to be fair and able to be completed in under 10 minutes. All challenges are optional. Teams get one checkpoint for arriving at the challenge (look for and punch the flag at the start of the challenge) and a second point/punch if they do the challenge successfully as verified by a volunteer (who will punch your passport). Like previous winter races, I have designed most challenges to be at least somewhat physical in nature to keep you moving and warm. For some challenges, teams of three will need to pick one person to do one task and the other two people help with the other task (or one person does while the other rests and tells the other two what they are doing wrong. Hah!). At one challenge, paying $5 to our charity – a scholarship fund for kids camp at Camp Roger – will help you complete the challenge faster. Unlike previous years, you will receive your map and race instructions at check-in, not the pre-race meeting at 8:45 am. You can figure out your route early and have plenty of time after the pre-race meeting to figure out what you’ll wear, hit the bathroom, etc. You may NOT go out and look for checkpoints or challenges before the start of the race! You will only be allowed to go to the gear cabin once you check in. Volunteers will be out there and will record race numbers of those in violation. Anyone venturing elsewhere may be disqualified. *At 8:40 am, once everyone has a chance to get the shirt size they ordered, you may switch shirt sizes if yours doesn’t fit. Also, if there are any left at this time, late entrants will be allowed first crack at them for $15 each since they did not receive them with entry. **Teams that wish to pair up with other teams not in their division should complete a nearby challenge or checkpoint(s) and meet their other team to begin racing together when their wave starts. The team starting in the later wave can then do the challenge or checkpoint(s) that the other team started with at the end. Sorry, we cannot make changes to the wave start time. The Camp Roger area and any wooded land within five miles is off limits to racers on Thursday and Friday. 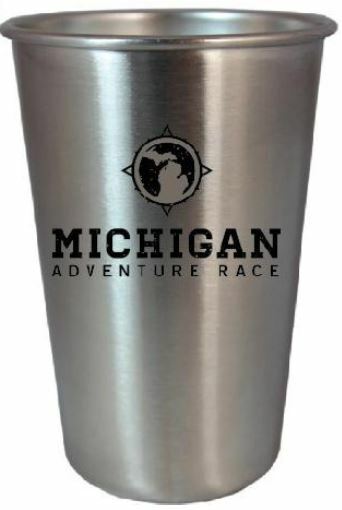 For Michigan Adventure Race and standard adventure racing rules, please consult the website. Race/bib/team number: All the same thing. We’ll provide in an email late next week. Please bring to check-in. We’ll look you up by number. You MAY pick up teammate race numbers and shirts. Everyone signed the waiver online. Just make sure you coordinate with them. Change into dry clothes and join us in the lodge for Honey Creek Inn chili (veggie and meat varieties + Cincinnati chili with noodles and toppings) as soon as the race ends, followed by awards and raffle once we have tabulated results. We’ll have hot chocolate, hot cider and coffee. I did my best to order more veggie chili and hot drinks so hopefully we’ll have plenty for all. Please start with one bowl of chili until the line is gone and everyone has gotten their first serving. 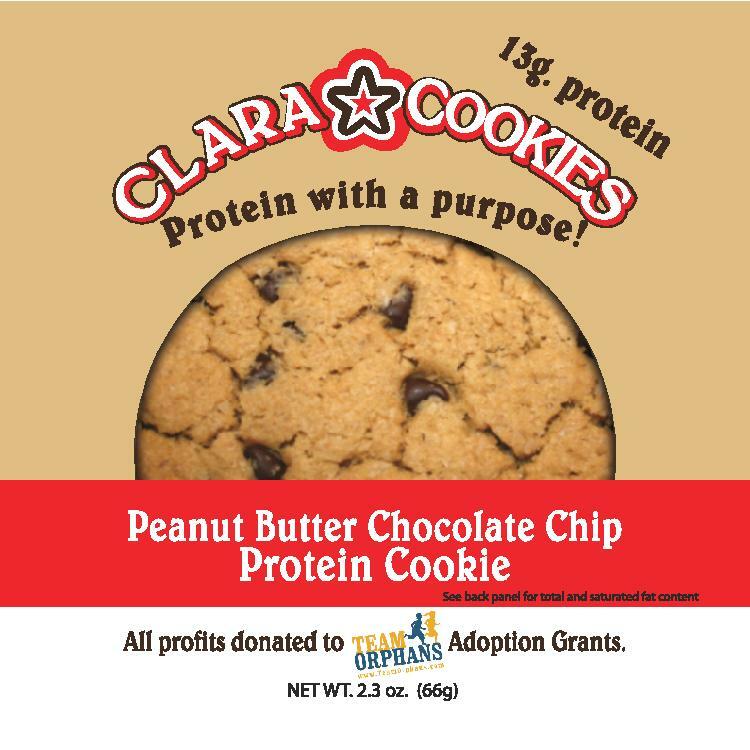 Clara Cookies will be at the lodge from 11 am until 2 pm with free cookie samples. Find one you like? They are $2 each or 3 for $5. All profits go to Team Orphans adoption grants. I t takes some time to count 5,000+ passport punches. Hope you can stick around, get into some warm clothes, enjoy some food and share stories. Hopefully we’ll have the results with not too much of a wait. If you weren’t a top finisher, Greg often has the results on screen and you can see them before you head home. If you can’t stay for the awards, we’ll share results by Sunday via a race recap email and Facebook post and mail you a gift certificate if you were a top finisher. All registered racers are entered into the raffle. We’ll have all the items on the table, first come first served. You must be present to win. We generally raffle off 40-75 prizes (gift cards, shirts from past races, $30 IceSpike traction devices, $40 Zanfel poison ivy wash and more). We’ll have our usual buffs, hats, pints and stickers for sale at check-in. 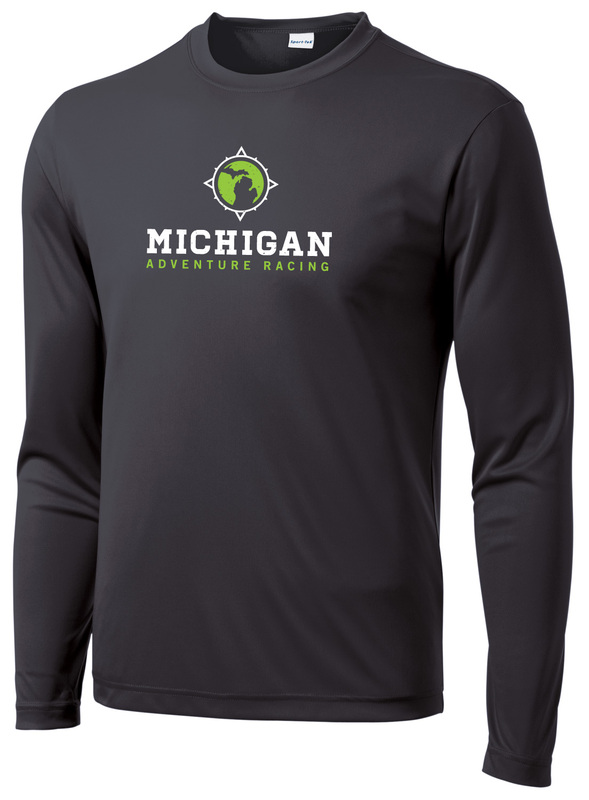 Also our MI Adventure Racing tops and sweatshirt. Likely just one more update to come before the race, on Thursday with your race/team number. Updates will be posted under the Race Updates page on the website for future reference. See the Facebook page for less critical updates. Feel free to email me with questions. To make changes to your team info, you can sign in to BikeReg and make the directly. After Wednesday, email changes to me. You endured through the race update so enduring through the race will be no problem! Looking forward to seeing you all!